A Form for the Setting Apart of Deaconesses in the Diocese of New York. New York: no publisher, 1890. 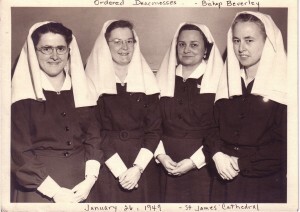 Deaconesses in the Church of England: A Short Essay on the Order as Existing in the Primitive Church, and on Their Present Position and Work. London: Griffith and Farran, 1880. The Deaconesses of the Church in Modern Times. Compiled by Lawson Carter Rich. Reprinted from The Churchman, May 4, 1907. The Ministry of Deaconesses. Edward L. Parsons. Berkeley, California: no publisher, 1909. Anglican Deaconess Ministries Includes a history and current information on the order and the education program through Mary Andrew’s College. Home of the Innocents and the Diocese of Kentucky Commemoration of Deaconess Emily Cooper. 1873 Deaconess Cooper was added to Feast Day rooster by the Diocese and a statue erected for her work with children. Her biography is available here. Pictures here. Ormonde Plater Blog, Through the Dust Ormonde is an Episcopal Deacon and Author of several books on the diaconate. His blog includes profiles and photos of deaconesses. 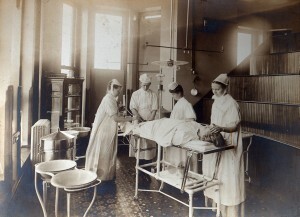 Lutheran Deaconesses in the operating room of the Deaconess Institute and Hospital, Omaha, Nebraska. Lutheran and Methodist Deaconesses established many hospitals in the US at the turn of the 20th Century. Photo courtesy of ELCA Archives. Deaconesses and Their Work Biblical, Early Church, European and American, Lucy Rider Meyer, The Deaconess Advocate, Chicago, 1897. 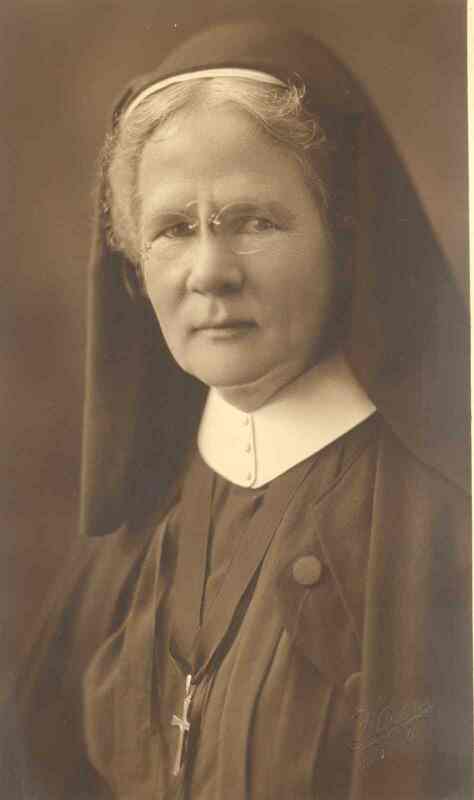 Horatio Macrae, Alice Maxwell, Deaconess Church of Scotland, 1919. Through the story of Alice Maxwell the Development of the Church of Scotland Deaconess movement is revealed. The work includes extensive citing of original sources. 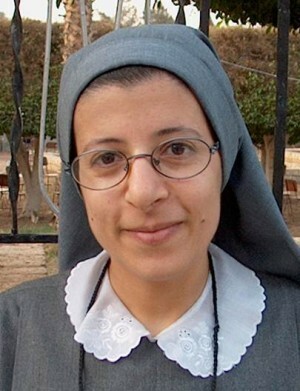 A “Tasooni” or sister of The Daughters of St. Mary Convent, Beni Souef, an order of Coptic Deaconesses in Egypt. They run clinics and mobile clinics, nurseries, elementary schools and other services for mentally handicapped persons. No author attributed. “The Life and Work of Women in the Church”, Ecumenical Review, 5 No. 2, January 1953, pg 159-166. World Council of Churches Commission on Life and Work of Women in the Church and Meeting of the Commission Life and Work of Women in the Church, Oxford, 1952.